Amy Williams (D2L Site Administrator) has accepted a new position and her last day at UW-Whitewater will be Friday, June 17th, 2016. In the interim, her responsibilities have been assigned to other staff members. Please continue to use the UW-W D2L Support Form to submit your questions. Thanks! COMPLETE 10:11AM: The upgrade to Desire2Learn 10.6 is complete. If you have any questions or encounter any problems, please contact UW-W D2L Support.. The upgrade from Desire2Learn 10.3 to 10.6 has been scheduled to start at 9:30pm on Wednesday, June 8th and be completed by 10:30am on Thursday, June 9th. During this time, you will not be able to access Desire2Learn. Please plan your summer course work accordingly. RESOLVED 10:33AM: Desire2Learn services have been restored and are now available. Users should now be able to access their D2L courses with no issues. Please contact UW-W D2L Support if you still experience any errors. Beginning at 8:00AM on Monday, May 31, 2016, users may receive an internal error message when accessing courses in Desire2Learn. Learn@UW has been notified, and technicians are actively working to engage the problem. We will provide updates as we have more information available. If you have any questions or concerns regarding this outage, please contact UW-W D2L Support. On Tuesday, May 31st, between 5:00 AM and 7:00 AM, Learn@UW has scheduled additional maintenance outside of the regular maintenance window. During this time, D2L will be unavailable for a period of about 10 minutes. We apologize for any inconvenience this outage may cause. Sunday, May 15, 5:00-7:00AM – D2L will be unavailable during this time for scheduled maintenance. Tuesday, May 17, 6:00AM – D2L will be unavailable for a period of about 10 minutes. We understand that this is a busy time of year and we will be actively monitoring the service to ensure stability after these maintenance events. Thank you to all the instructors who participated in completing the the Learning Technology Center’s (LTC) Instructor Support Survey! We had over 100 instructors participate and will be using the results to ensure that the LTC is meeting instructors needs in regards to our services, support, and programming. We held the iPad drawing and our lucky winners are Andy Dahl and Rachelle Yankelevitz. Congratulations to our winners and another thank you to everyone who provided feedback! As some of you may have heard, the current UW System contract for Desire2Learn (D2L) will end on June 30, 2018. As a result of the D2L contract expiration, the UW System is undertaking a rigorous requirements-gathering process through Summer and Fall 2016. This process will include significant input and feedback from instructors, students and staff from all of the UW System institutions. Information gathered in this process will be used to create and issue a Request for Proposal (RFP) near the end of Fall 2016 with the objective of selecting the digital learning environment for the UW System by the conclusion of Spring 2017. This is an excellent opportunity to truly evaluate what our instructors, students and staff need in a digital learning environment and for the UW System to select the product that best suits these needs in alignment with our strategic direction. We will provide updates as we have more information. The D2L eGrading process is now available for the Spring 2016 semester. This process allows instructors to transfer final grades from their Desire2Learn Gradebook directly to their WINS Grade Roster. On Friday, May 6th, between 5:00 AM and 7:00 AM, Learn@UW has scheduled additional maintenance outside of the regular maintenance window. During this time, users may experience issues when accessing Desire2Learn. 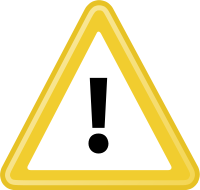 In order to correct some of the Desire2Learn known issues impacting Discussion Statistics and Quiz Grading, there will be a brief D2L outage on Tuesday, May 3rd, from 5:00 AM to 5:30 AM. During this time, users may experience issues accessing Desire2Learn. There will also be additional work being done during the afternoon and evening to correct the known issues which does not require an outage.